Home › History › Update to a December 2012 Silver Laughter Post! Update to a December 2012 Silver Laughter Post! 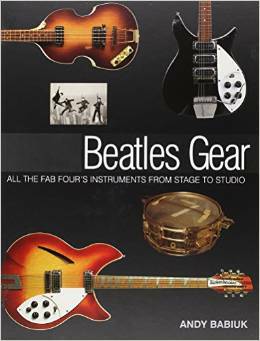 Well, as it turns out, I recently bought a book called “Beatles Gear”, and in chapter 4 Paul McCartney talks about how he turned his 6 string guitar into a bass (before he bought the genuine article) by tuning down the strings! He also talks about how they used to steal piano strings to use on their bass guitars because the real thing was so expensive! Anyway, I feel vindicated since it certainly puts me in good company! Of course, this doesn’t mean Ken will ever stop teasing me about the event which happened so long ago!